As the new flagship operating system for the Android is being rolled out, step by step for many Android devices, many of the apps of Android 5.0 Lollipop are now available for download. You may download many of the available apps even in Android 4.3 and 4.4.4 KitKat devices. 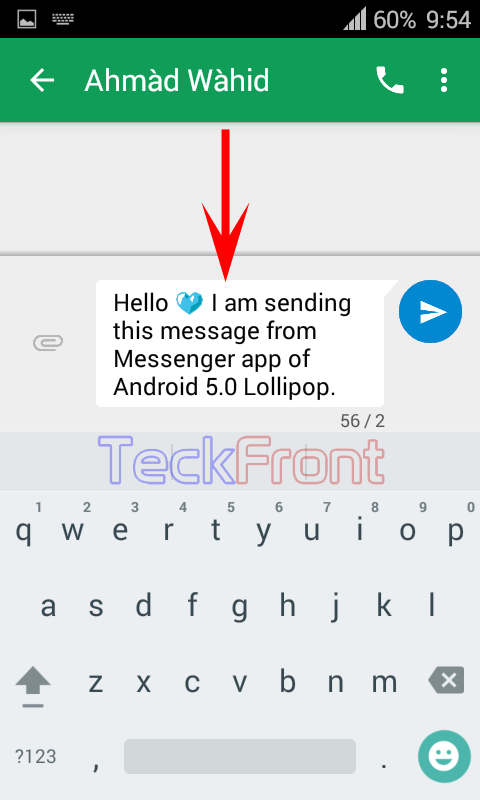 Some of the apps for the Android Lollipop have been renamed as well, such as, Messaging app of Android OS has been renamed as Messenger app. You may download this app from the link given in one of our previous article of TeckFront. See link at the bottom of the article. As writing messages in Messenger app is a little different in Messenger app, I have described it below. See the instructions. 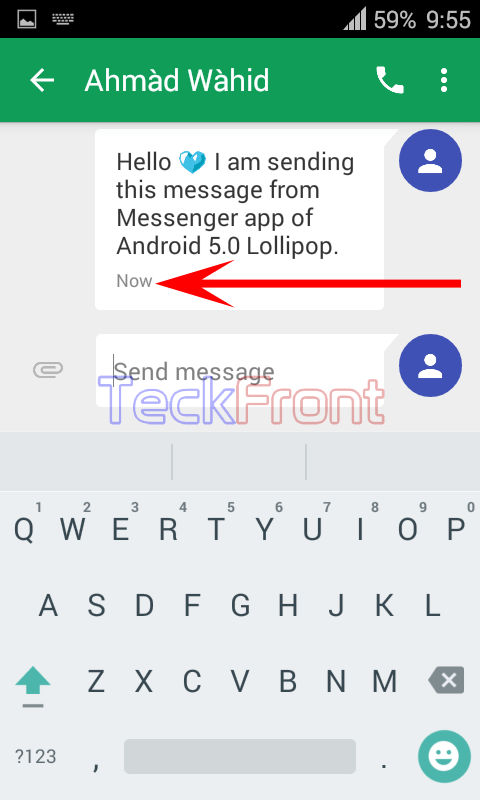 Note: I have downloaded and installed Messenger app in Android 4.4.4 KitKat device. 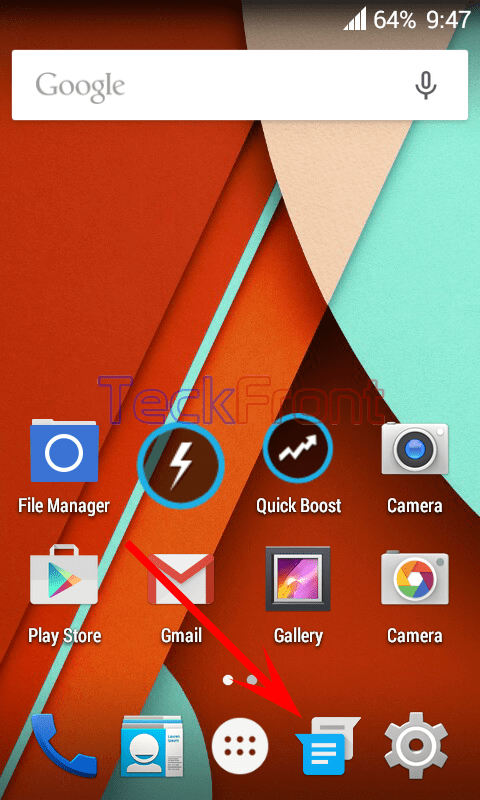 1: Tap the ‘Messenger’ app icon from the Home screen of your Android device. 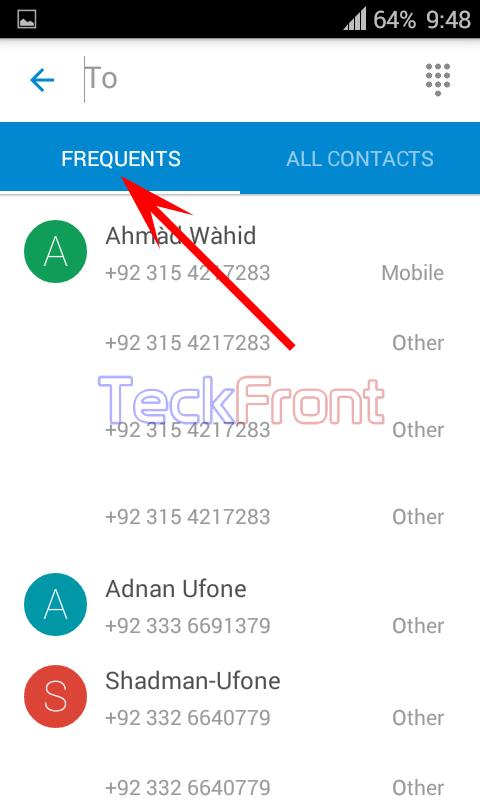 FREQUENTS – These contact numbers are those ones which are frequently under use. 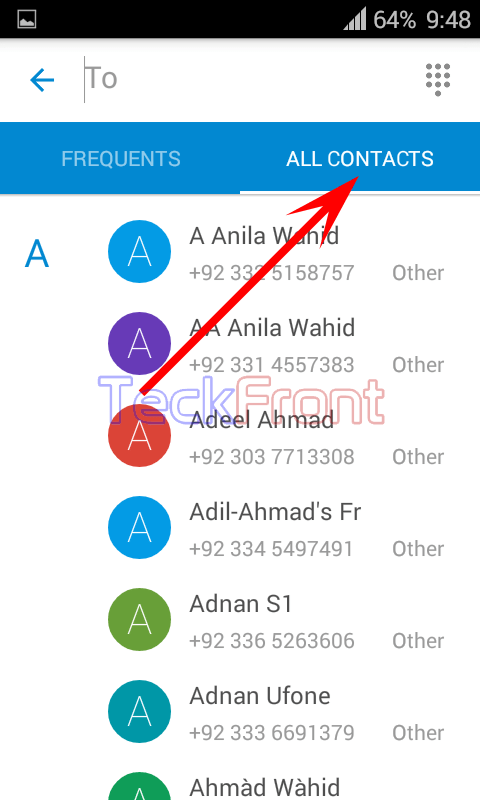 ALL CONTACTS – These are all the contacts, available in your Android phone. 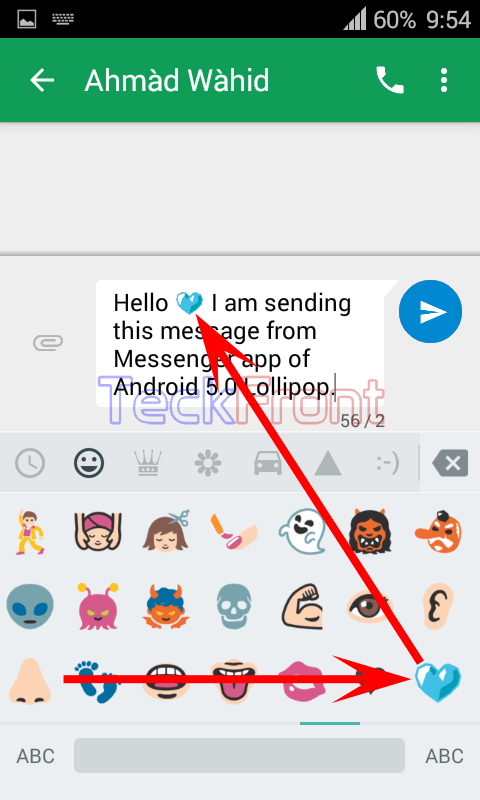 4: Tap any contact to whom you want to send message. It will appear in place of ‘To’ at the top of the phone screen. 5: Tap the space, with caption, ‘Send message’. It will open up a keyboard at the bottom of the screen. 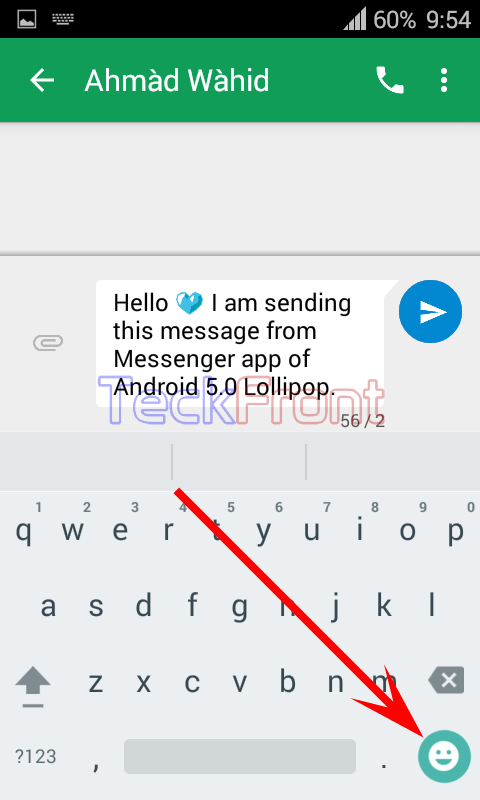 6: Write message in the space, available for writing the messages with the help of keyboard, given below. 7: To insert smileys (emoticons), tap the button, available at the bottom right corner of the screen. 8: Tap any emoticon and it will appear in the message, at the place where it is required. 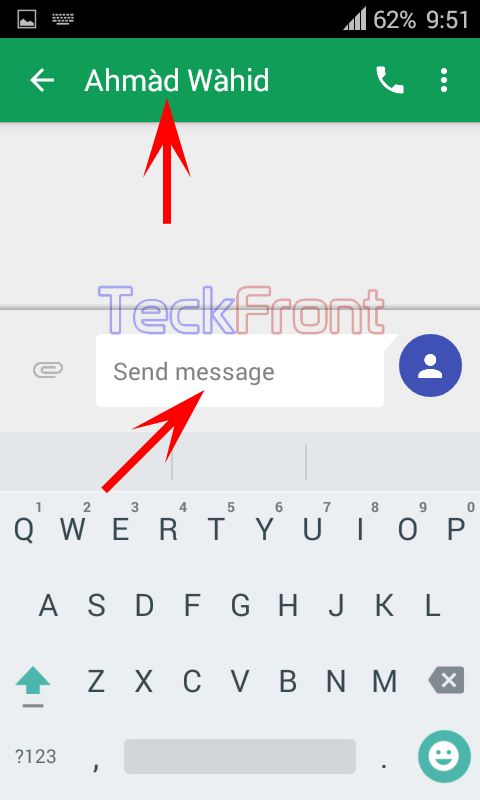 9: Tap the send button, available on the right of the space for the message. 10: See the message is sent, immediately, with status is changed to ‘Now’. 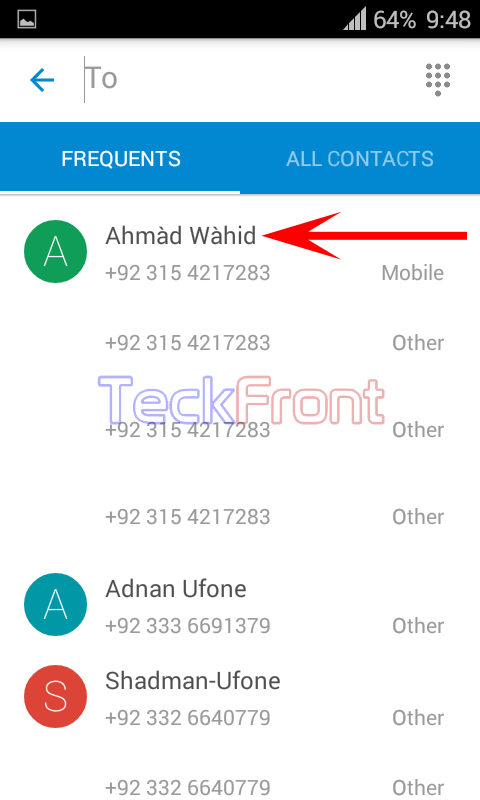 Sending the Message to the contact number which is not added to the Android device. See from number 2 at the top. 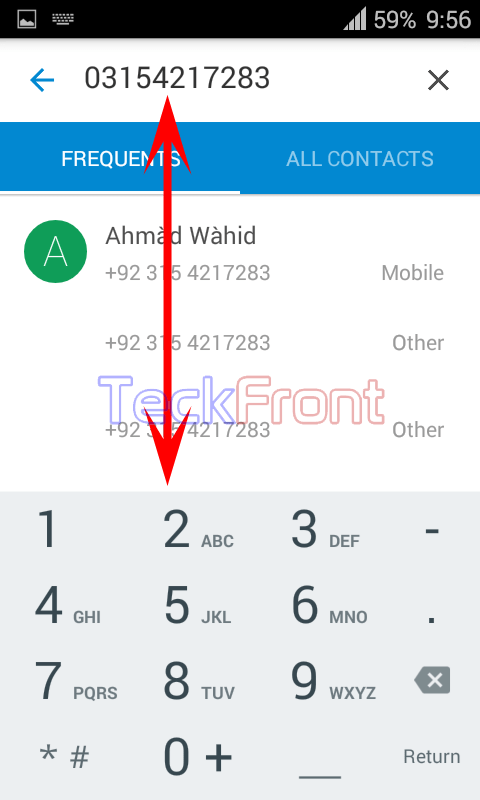 3: If the contact number is not added in your Android device, tap the numerical keyboard button, available at the top right corner of the screen. 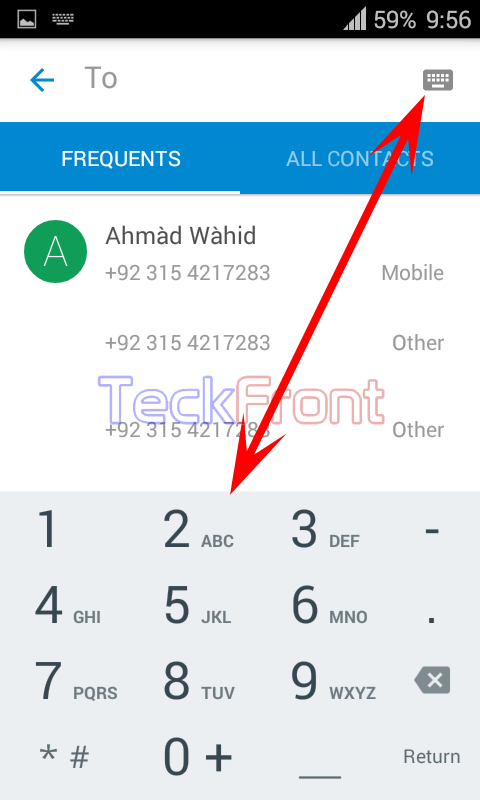 4: Tapping the numerical keyboard button will open up numerical keyboard at the bottom of the screen. 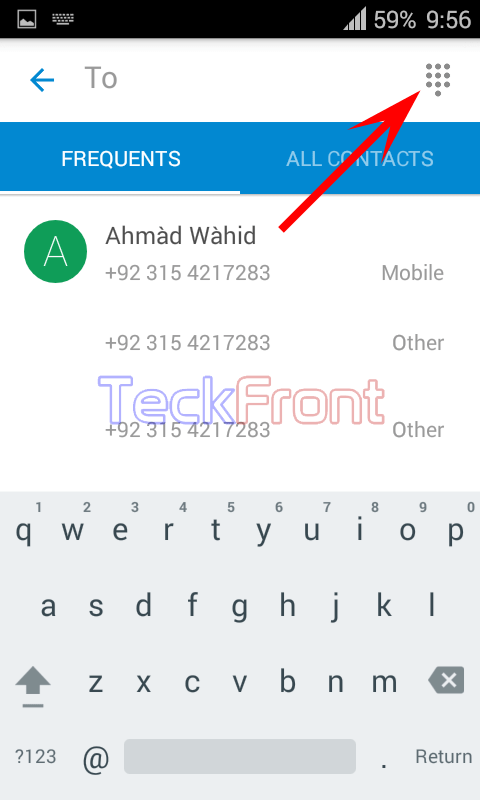 5: Write the contact number of the user to whom you want to send message with the help of numerical keyboard. 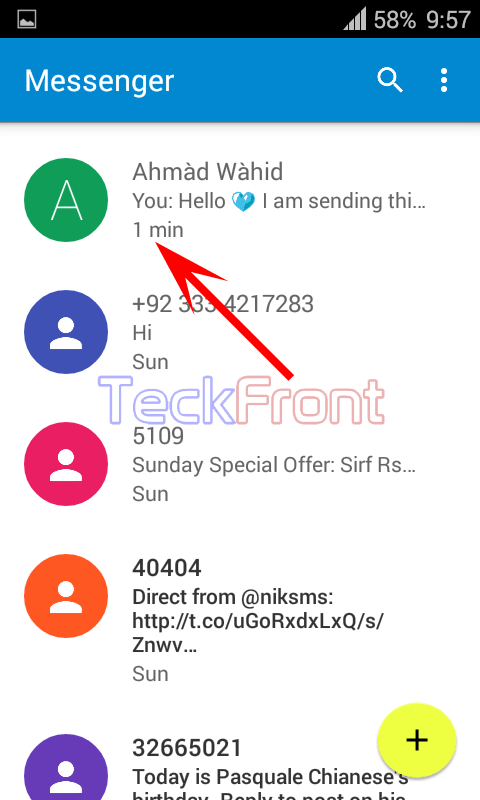 6: Repeat the process to send message in the same manner, as described in above section. Starting again from ‘11’ above section. 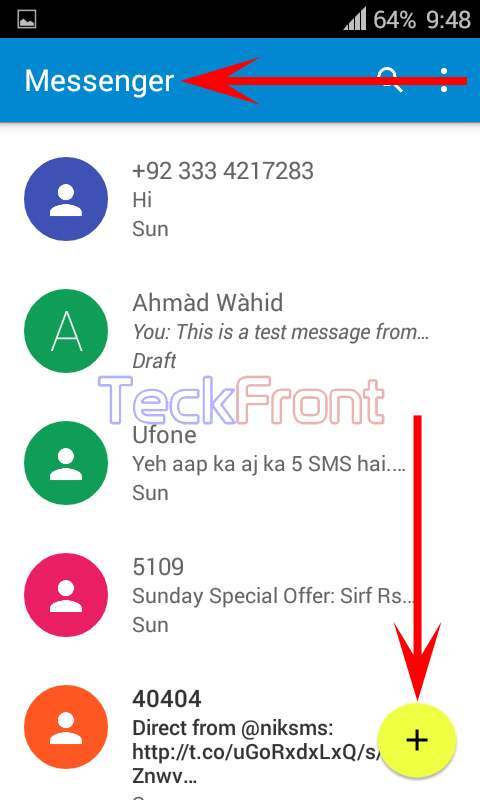 See the sent message appears in the ‘Messenger’ app screen. 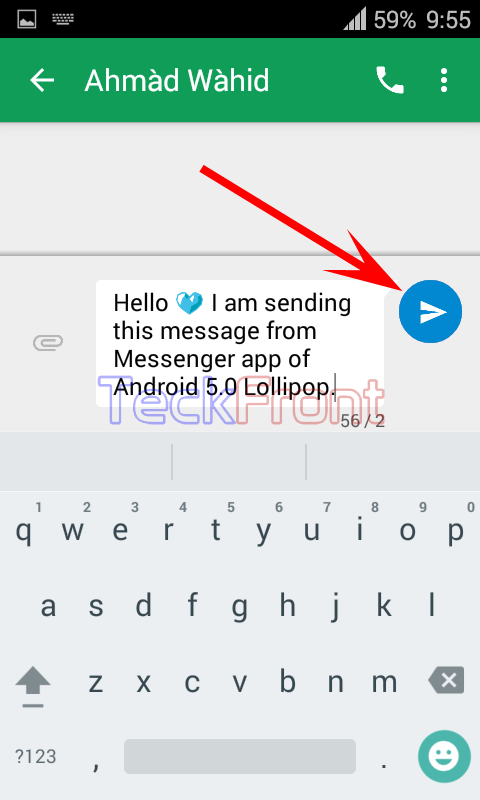 Newer How to Delete, Copy or Forward Messages in Messenger App of Android 5.0 Lollipop?